The mobile home park is an industry that is not overly visible and seems to be somewhat uncommon as part of one’s investment portfolio. Don’t let this fool you since I have come to learn that major corporations and wealthy individuals are now buying as many of these parks as possible. It is no longer the ‘mom and pop’ type of business. It has many advantages and the following information will explain some of them to you. When I first began selling real estate 25 years ago and knew very little about this product. It was only when a client asked me to find him a mobile home park to purchase that I learned just how difficult it was to find one. Not only was it physically difficult to locate one but to actually find out who owned it and then to see if they would actually consider selling. It was then that I decided to immerse myself into understanding the mobile home park business and make it my specialty. Over the past 20+ years I have sold many parks and become very familiar with them. 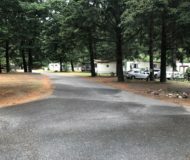 I have a website dedicated to mobile home parks and you can see my current inventory and history of activity at: www.mobileparks.com. 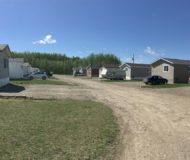 You may remember these parks from 30 or more years ago as being referred to as trailer parks but then they progress to mobile home parks and now more commonly are referred to as manufactured homes or housing communities. The quality of construction of these homes are now of superior quality as they are built in indoor temperature controlled environments and government inspections. The size of homes has also greatly increased from the original 1970’s 12’ x 56’ trailer to currently 16’ x 76’ (possibly larger) or even double wide homes of (24’ x 60’). Location may be the primary way of determining both short term and long term value. If in a well located area the land value alone is always a good investment even if the cash flow from the rental income were to completely stop. This would not be the only reason for buying a park but certainly must be considered. A park located in an area where employment is strong will most certainly guarantee it will most always be fully occupied. Another consideration is the service of utilities to the park which is also closely related to location. Most preferred is one that has full city services such as city water and sewer along with garbage pickup, hydro and cable TV. These can be more expensive at the outset but translate into easier management and upkeep. That said, it is good to also consider ‘non city serviced parks’ as there are many. These parks may be serviced by their own water wells, septic systems, lagoons, or onsite sewage treatment plants. If regularly maintained these can all function very efficiently and possibly at lower costs. When evaluating a park the overall condition and often ‘first impression’ is important. Some properties show the immediate ‘pride of ownership’ while others are neglected and in much need of repair & maintenance. That said, both parks though different in appearance can provide the same returns at the outset. However, over time the neglected one will have need of much more cost in repairs if not regularly maintained. Parks come if many sizes in terms of land base and numbers of rentable pads. They can be less than 10 pads or as much as 200 or more. In general many parks are in the 30 to 60 pad range. A rule of thumb, any park with a minimum of 30 pads can afford to have an onsite manager. The manger is usually paid with free monthly pad rent in exchange for general management duties. How does one determine the correct price to pay for this type of investment? The most common method of determining value is by using a Cap Rate / Rate of Return / Yield. This is calculated using a simple formula: Cap Rate = NOI (net operating income)/Price. Each market area will have a cap rate that determines if it is correctly priced. For example, a park in Surrey BC would have a 5% – 6% cap rate, whereas Kelowna may have 6% – 7% or say Prince George a 7.5% to 8.5% return. Some more remote areas or small town parks may offer a 9% to 10% return. As with any investment it is based on ‘risk and reward’. One key factor to research is the historical vacancy rate which will confirm the stability of ongoing cash flow for debt service and profitability. Another safeguard as with any commercial purchase is an appraisal prepared by an accredited firm familiar with mobile home parks. In most cases all lenders will require an appraisal prior to providing the funds to complete the purchase. Lenders will in most cases require at Phase 1 environmental audit to confirm the land and surrounding lands are not contaminated from any current or prior environmentally unfriendly activities. Financing mobile home parks in the past was somewhat challenging since most lenders only understood them as being very low end housing. This has dramatically changed in the past 10 years with the industry becoming more visible through marketing efforts and realizing an opportunity for home owners to live in safe, comfortable communities but at a much lower cost than purchasing a single family home. Most lenders will still expect the Buyer to put his own cash of 30% to 40% down and they provide the balance required to complete the purchase. Current lending rates are at an all-time low so it is an ideal time to borrow funds to invest in this type of opportunity that offers returns of 6% to 9%. Lenders are now seeing this as one of the more secure lending opportunities due to the steady cash flow and debt serviceability. British Columbia has rent controls as do most provinces. Alberta does not have rent controls. In 2018 BC parks have an allowable rent increase amount of 2.5% plus proportional amounts as published by the Tenancy Branch each year. (2012 – 4.3%) (2013 – 3.8%) (2014 – 2.2%) (2015 – 2.5%) (2016 – 2.9%) Proportional amounts are unforeseen repairs or necessary renovations that are not recurring. It is wise to give the allowable rent increase each year so as not to fall behind. Getting ‘caught up’ in rents is no longer allowed. The rent increases not only increases your net income but also adds value and will serve you well when it comes time to sell. It reflects on the cap rate which in turn determines the value of the park. Place & Sell – these pads can then be occupied in several different ways. One is to advertise spaces for rent and wait until homeowners apply for occupancy or you can purchase new or used homes, place and hook them up with all services and then sell them on a Rent-to-Own contract. This has become popular of late due to its profitability. Buy a new/used home at wholesale value and sell at retail. On new homes this can be about $25,000 per home. Alternately you can have the owner/tenant pay a nominal down payment and then hold the mortgage on the remaining balance and get paid out over, say 4 years at 10% interest. These terms are not uncommon. This guarantees you a good return on your Seller financing, a tenant that won’t leave after having invested in his own home for months or years and steady pad rental income. Place & Rent- you can also place a home, fully skirted and with all hookups and rent the home for about 2 or 3 times the monthly pad rent. Amenities – you can also have additional amenities such as a meeting hall, a pool, laundromat, additional RV parking and charge rent for all these additional services. I have learned that it is more cost effective and much quicker to purchase an existing park than constructing a new one. Firstly, to obtain land that will be granted zoning for this purpose will be most challenging. Most municipalities are not yet receptive to rezoning land for this type of use, either due to what they perceive a mobile home park to look like from their memories of the 1960’s and 1970’s and also receiving higher tax revenues from single family or multi-family subdivisions. The cost of developing every new pad is somewhere in the range of $25,000 to $40,000 per pad, consequently a 50 pad park would require at least $1,750,000 in development costs, excluding the land cost. You must also build in the cost of borrowing during construction and all the way to when the park is fully occupied. This could be 1 to 4 years. Due to this fact the existing parks are much more appealing. You benefit from immediate cash flow as of takeover day. You can consider the possibility of your park being rezoned for redevelopment at a future date. This has become popular with old parks built in town centers that now have land values far in excess of the cash flow value. Years ago the main income was from pad rents where now the value is in building a commercial strip mall or multi-family homes. This has its challenges but also has huge financial gains if successfully brought to completion. This is where this type of investment gets appealing. You can get offsite professional management but most often parks are managed by an individual or a couple living in the park who can oversee most all aspects of management. In exchange for management their pay is usually free pad rent and depending on the size of the park they may also receive an additional monthly salary. They will look after common area grounds maintenance, grass cutting, collecting and depositing rents, taking regular water samples where necessary, giving necessary rent increase notices or evictions when needed and general maintenance of roads, lights, wells, and the like. Each park has its own Rules and Regulations which each tenant signs and agrees to adhere to upon being accepted as a tenant. The manager then has the right to enforce these rules in order to maintain order and cleanliness within the park. If rules are not adhered to the regulations will clearly spell out the penalties added to the monthly rent in such cases. These rules can be amended by the landlord. (Sec 32 Tenancy Act). If tenants do not cooperate they can be given eviction notices. If they then sell their homes the landlord will have priority in collecting his back rents and penalties upon sale of any home.